How to start investing in peer-to-peer lending? See how it works! 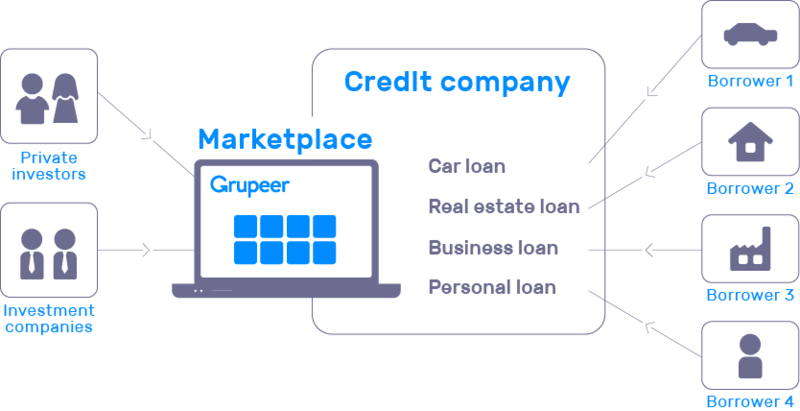 Grupeer is an informative and financial IT platform connecting investors and loaners. We are offering you options of investments, supporting you in their realization and controlling all the payments. You take your own decision according to your criteria about an investment type and its amount. Grupeer Platform offers you making investments in loans that were already issued. All loans offered on our Platform were issued by professionals of the credit market, they are as well provided with evaluation of loaners’ solvency and concluded agreements. Loans are secured by collateral. A company that issued a loan is responsible for administering it. You buy a share of a particular loan. The confirmation of your participation in issuing a loan to a borrower is a cession agreement according to which a credit company transferred to you the requirements for a loaner including a loan collateral. The Grupeer experts make an additional careful selection and evaluation of credit companies they cooperate with as well as assess every agreement they are offering to invest in. We care about the interests of our investors therefore all our loan agreements is guaranteed by Buy Back. It means that if a loaner withholds a payment for more than 60 days, then a credit company has to buy back from an investor his share in this loan. An investor can buy back either the entire loan or just a part of it. As long as a loaner is making loan payments, an investor receives a profit according to his share and participation in business. The platform administrates and controls all the payments.